Estimates on the number of Cross River gorillas (Gorilla gorilla diehli) remaining is 250–300 in the wild. Their range is very fragmented. Due to human population growth and agricultural encroachment, the gorillas are being forced into higher altitudes with steep slopes, unsuitable for farming. 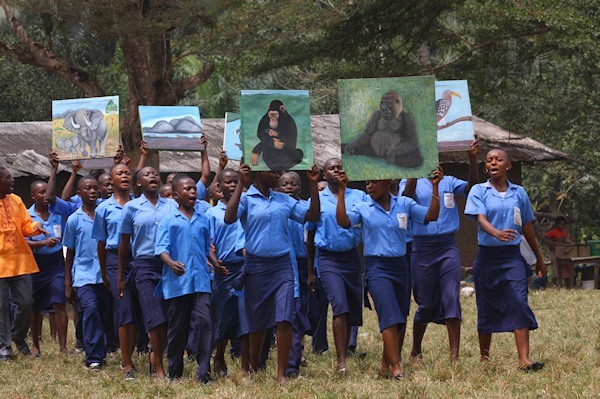 The recent killing of a male Cross River Gorilla stressed the urgent need to intensify conservation efforts. 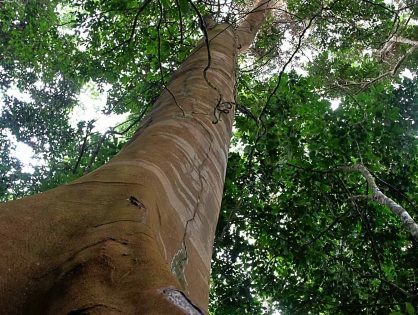 “The Taiwan’s Forestry Bureau, through its Conservation Division, has been supporting great ape conservation at this new site since 2005”, says Arend de Haas, director of the African Conservation Foundation. 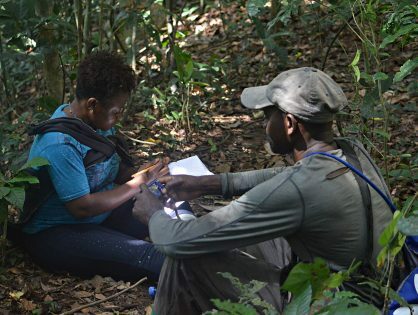 “Through a successful long-term partnership, grants were provided for an extensive conservation programme including surveys, forest surveillance, training and education”. The programme led to designating new proposed protected areas across the Lebialem Highlands Conservation Complex. This includes the proposed Tofala Hill Wildlife Sanctuary, Ellioti Chimpanzee Sanctuary, the Tofala-Mone Forest Corridor, Mt Bamboutos Integral Ecological Reserve, Nyi-tebong/Fuagonkem Hills and the Nkingkwa Hill Forest Reserve. In 2010, with funding from Taiwan, the ARCUS Foundation and Flora and Fauna International, a process was launched to assist the Government of Cameroon to create the Tofala Hill Wildlife Sanctuary. This process is on-going and is expected to be completed in 2013 with a Prime Ministerial Decree. The Tofala Hill forest holds about 40 Cross River gorillas and up to 150 Nigeria-Cameroon chimpanzees, while the proposed corridor holds up to 20 Cross River gorillas and 100 Nigeria-Cameroon chimpanzees. Current threats to the conservation of great apes, forest elephants, Drill monkeys and other endangered species in the region include forest conversion to farms, forest fragmentation and hunting for bushmeat. “The main goal of our programme is to assist the government of Cameroon to implement a collaborative management strategy to support the long term survival of the great ape populations and other wildlife in the Lebialem Highlands.” explains Louis Nkembi, director of the Environment and Rural Development Foundation. The project partners are working close together with the local communities in the Lebialem Highlands, developing alternative income generating activities such as wildlife farming, beekeeping and an international volunteer programme. “Capacity building is key to the success of the project”, declared Simon Kwemo, Senior Divisional Officer for Lebialem, in a recent project partners meeting. Taiwan’s aid has also been crucial for the design of a genetic corridor linking the Tofala gorillas with those of the Takamanda-Mone Forests, close to the border with Nigeria. Such a corridor is vital for the exchange of individuals between populations, which may help prevent the negative effects of inbreeding that often occurs within isolated groups. Over 460 bird species have been recorded in the Lebialem Highlands region, among which 50 species are endemic to the afro-montane highlands and 15 species are globally threatened. The low to mid-level elevation has some endangered primates as the Drills and the Preuss guenon, as well as the critically endangered Cross River gorilla – the rarest of the gorilla sub-species – and Nigeria-Cameroon chimpanzees also the most endangered chimpanzee subspecies in Africa, with a population numbering less than 6000. 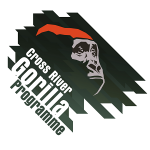 The African Conservation Foundation would like to take this opportunity to thank the Taiwan Forestry Bureau which presented the eighth International Conservation Grant in support of the Cross River Gorilla conservation programme.